This collapsible, folding storage gas cage is easily constructed by two people in under 60 seconds. 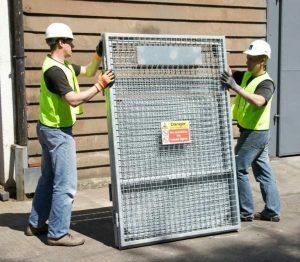 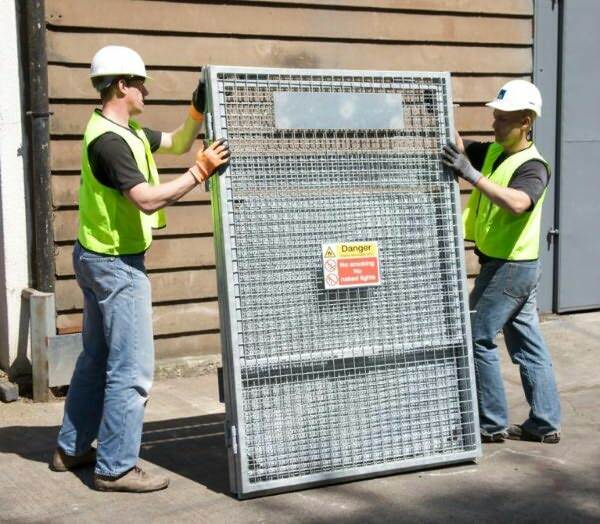 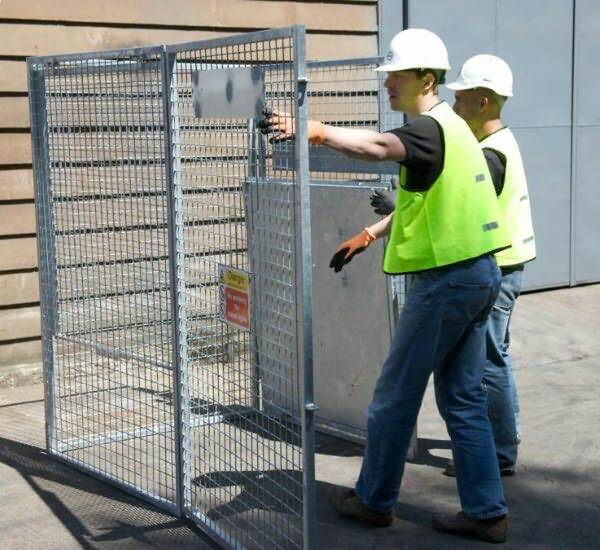 Supplied as a single flat packed unit, it can easily be moved around work sites when collapsed using forklift skids. 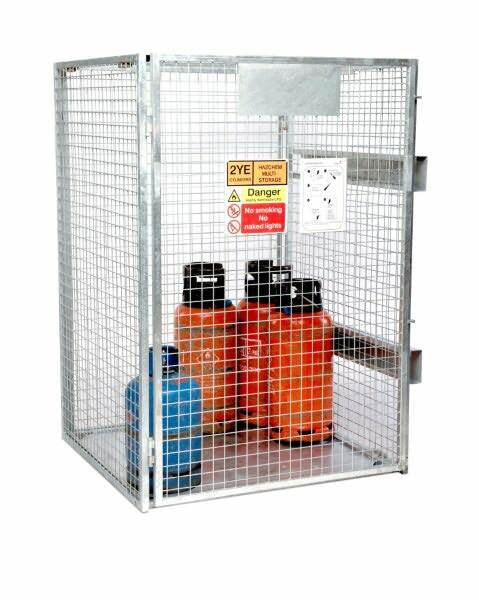 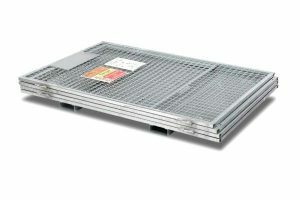 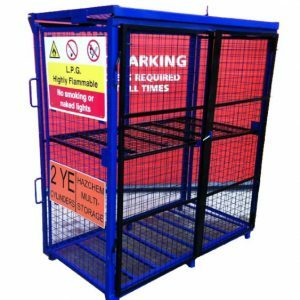 It can hold up to 10 x 47kg bottles, or be used as a standard security cage. Note: From Stock with a lead time of 2 working days.